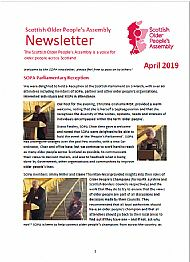 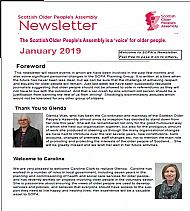 The first newsletter of 2019 says farewell to Glenda, welcome to Caroline and updates on other SOPA activity. 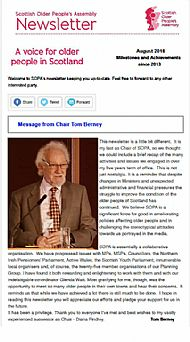 As Tom Berney moves out of his role as Chair, this newsletter reviews the highlights of his 5 years since 2013 when he began his leadership role in the organisation. 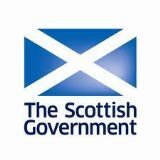 The Scottish Government is currently SOPA's main sponsor.